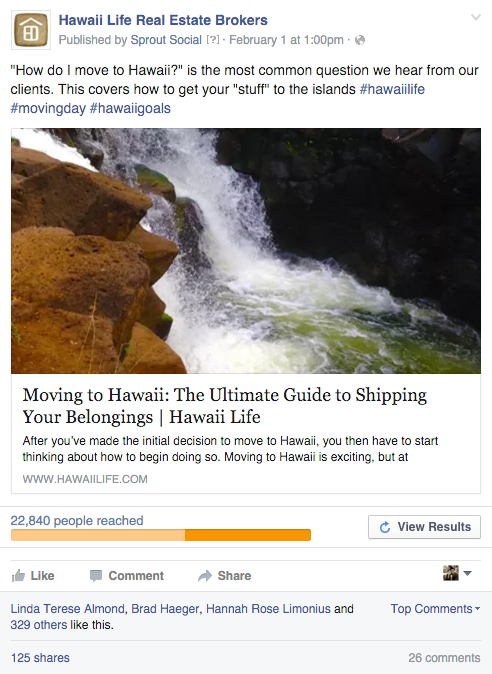 Social Media Post: How do I move to Hawaii? Created by Mike for Facebook. The post reached over 13,000 people initially. We spent $15 to “Boost” the post reaching an additional 9,500 people, was shared 125 times, gained 24 page likes for a total 22,840 people on Facebook.